#38 Photo is by and courtesy of George Landrock. 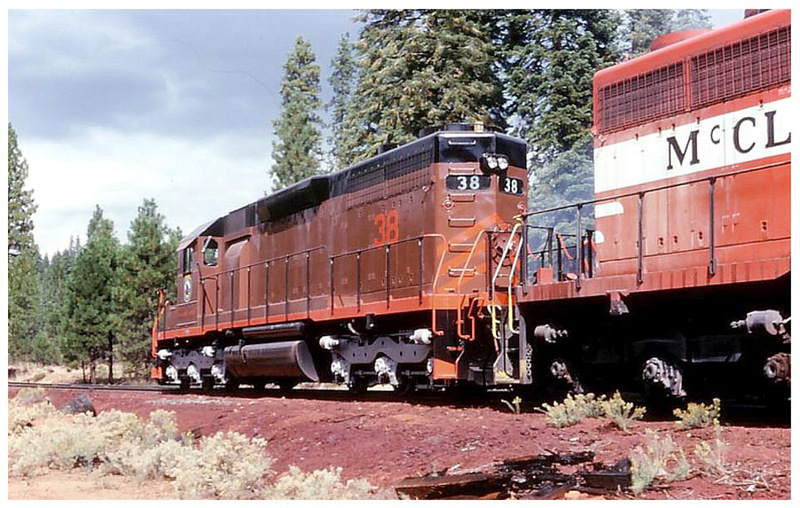 #38 switching ballast hoppers at the Porcupine pit shortly after receiving the new brown paint. Photo is by and courtesy of George Landrock. #38 - McCloud, CA, 8/1992. 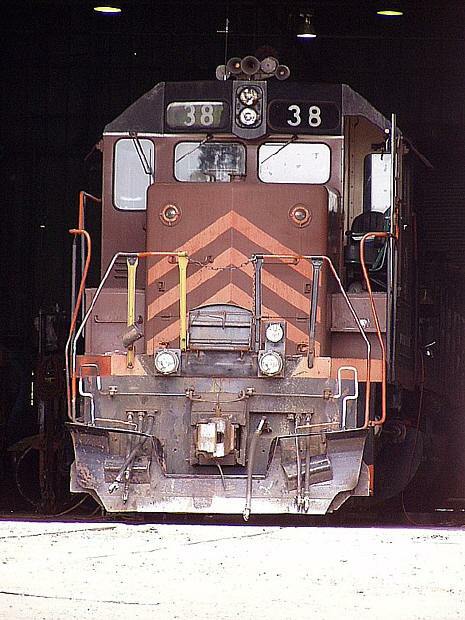 The #38 is seen here resting in the shop building in May 2004. Photo is by and courtesy of George Landrock. The #38 by the shop building in August 2005. Jeff Moore photo.